What is Xindu Guihu Park? 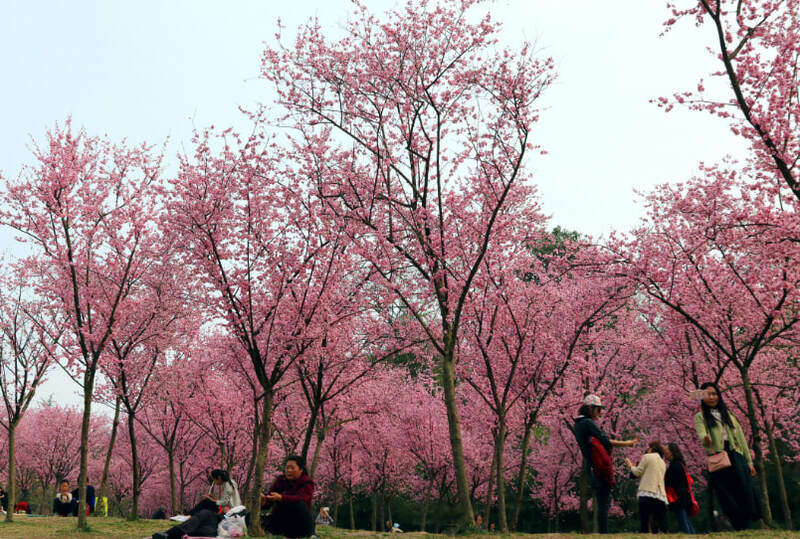 Covering an area of 4 hectares including a water area of 2 hectares, Xindu Guihu Park is Located in the western suburb of Xindu County (新都县), 18 kilometers away from Chengdu. It is named after the osmanthus trees around the lake. It offers 850-meter-long well-preserved old city wall built in the Ming Dynasty (1368 – 1644) to visit. As a combination of Chinese and western styles, Xindu Guihu park features pavilions in the ancient Chinese style with the modern entertainment facilities. It offers more than 20 buildings in the Qing Dynasty (1644 - 1912), such as pavilions, and towers. Visitors can explore Sheng’an Temple(升庵祠). You can appreciate more than 100 kinds of writings (more than 4,000 volumes) by Yang Sheng’an. In addition, you also can explore the statue of the famous writer Ai Wu (艾芜), the tomb of the famous general Wang Mingzhang (王铭章) during the period of Anti-Japanese War, and the statue of Tian Jiaying (田家英) - Mao Zedong’s favorite secretary. From May to June, lotus flower in the Lake will amaze you. In autumn, osmanthus gives out the pleasant scent. In addition, you also can visit the Tianxiang Garden - the largest building complex on the Guihu Senlin Square (桂湖森林广场) and tallest building called Outside Cloud (云外楼). With a height of 30 meters and with a 6 meters stone stylobate, this building faces the lake . The stylobate is decorated with white marble carved balustrade. If you are planning to visit Xindu Guihu Park for photography purposes, the best time to visit is in the morning. The best months to visit are from May to June and from September to November. Xindu Guihu Park is not situated in downtown Chengdu. Therefore, there are only a few options. Rent a vehicle to the park from Chengdu. This is the quickest and most direct option. Interested in visiting Xindu Guihu Park on a Tour? Wendy Wei Tours offers a variety of different packaged tours as well as custom tours including Xindu Guihu Park, among other attractions and destinations. To find out more, please visit our Tours page or Contact Us directly to find out more.